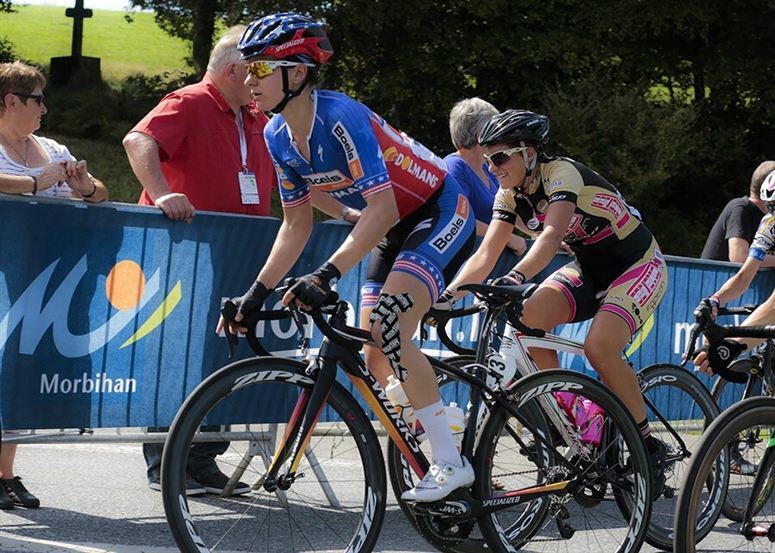 There’s a reason the top pro cyclists have been using kinesiology tape for over a decade and, if you put serious miles on your bike, so should you. 1. Knee pain* – knee pain* can be triggered by a lot of factors on your bike, including your pedals and cleat position, crank arm length and your position on the saddle. But, once knee pain* starts, it can be tough to manage, so in the meantime of getting your equipment dialed in, use RockTape for recovery as well as during rides to help keep your knees happy and healthy. This standard knee application works wonders for general knee soreness around the joint line or underneath your kneecap. This single-strip application can work just as well and is so easy to do before a ride you’ll be amazed. Another source of lateral (outside) knee pain* is from the iliotibial band of tissue that runs from your hip to your knee, and here’s a great taping application for the IT band area. 2. Lower back pain* – especially for road riders and triathletes (but mountain bikers certainly aren’t immune! ), your bike position can put a lot of strain on your lower back. There are many ways to tape the lower back, and feel free to bump this same taping application up to the midback and between your shoulder blades if that’s where your problem seems to be. Here are taping applications for lower back support during and after rides that uses standard 5cm as well as Big Daddy 10cm. 3.Neck and shoulder pain* – as with the lower back, the position of riding a bike, again especially for road riders, can put a lot of demand on the muscles of the upper back and shoulders. Here are a couple of taping applications that can help support the neck and relieve muscle stiffness and soreness of your neck position, especially with the added weight of your helmet. 4. Achilles tendonitis – Achilles tendon soreness is pretty common for cyclists. Again, if this is a tricky area for you, RockTape can help while on the bike and off of it with this taping application. 5. Carpal tunnel syndrome and hand symptoms – this is another area that is often a symptom of bike positioning, so make sure the length of your cockpit as well as the height of your saddle are properly set up. Believe it or not, wrist and hand symptoms can also be a sign of weak core strength, too, as you lean too much weight onto your upper body and don’t support it enough with your trunk. 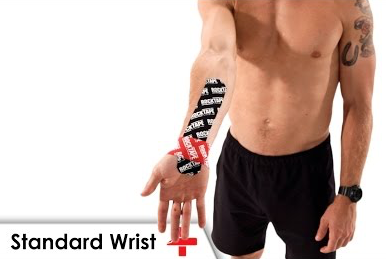 All that being said, RockTape works brilliantly to help support the hand, wrist and forearm and can help keep your hand from getting numb or pain*ful with this application.